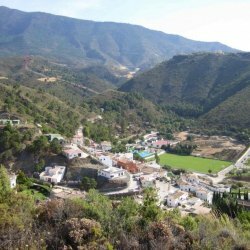 Please, send me more information about ref DM4415 in Los Flamingos Golf, Benahavis or similar properties. 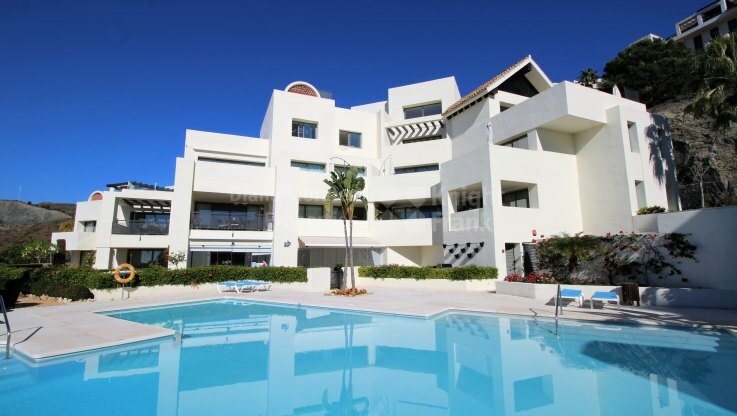 A modern and spacious top-quality 2 bedroom apartment, located in the development Tee 5, which is made up of 6 blocks and 54 units, and located in the prestigious Los Flamingos Golf Resort with its 3 golf courses and the 5* Ritz Carlton Hotel ‘Villa Padierna’. 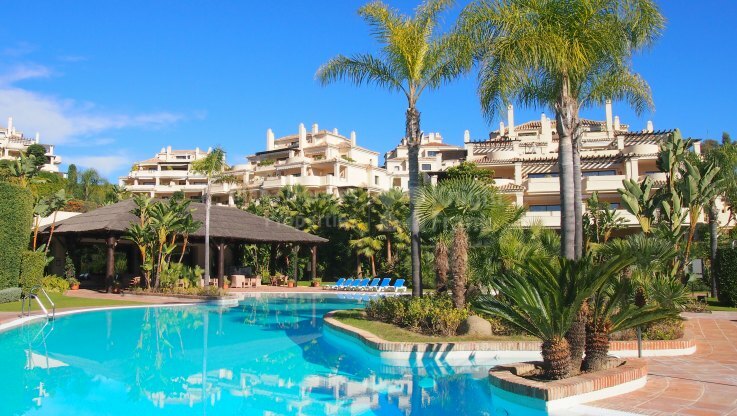 Near to all amenities, approximately 2,5 km to the beach, 10kms to Estepona and 15 to Puerto Banus/Marbella. There are four community pools and gardens. Enjoying wide panoramic views over the mountains and the sea, this southwest facing apartment comprises a sunny living room with fireplace (gas), modern kitchen with Smeg appliances open to the lounge and with exit to the interior courtyard which is communal but only this unit can use it. 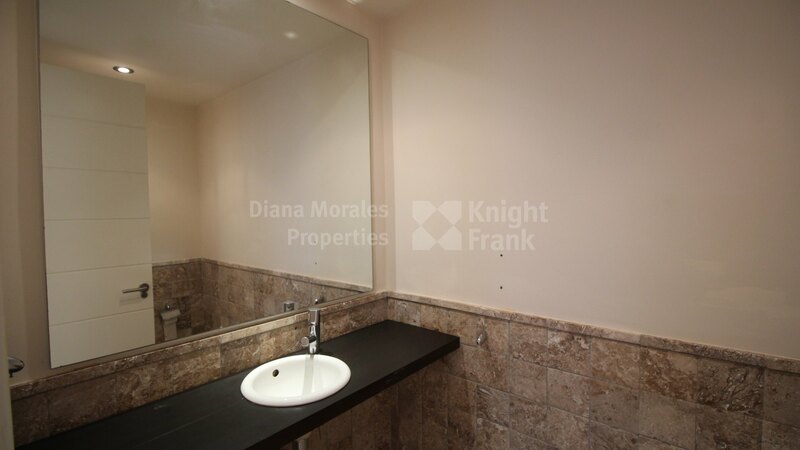 The property also features a guest toilet, a spacious master bedroom en suite with jacuzzi bath, a guest bedroom en suite. 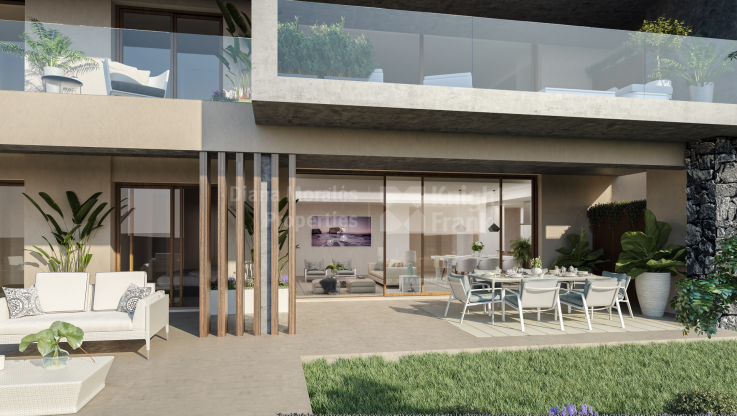 The lounge and the bedrooms lead out to the covered terrace and further private garden. 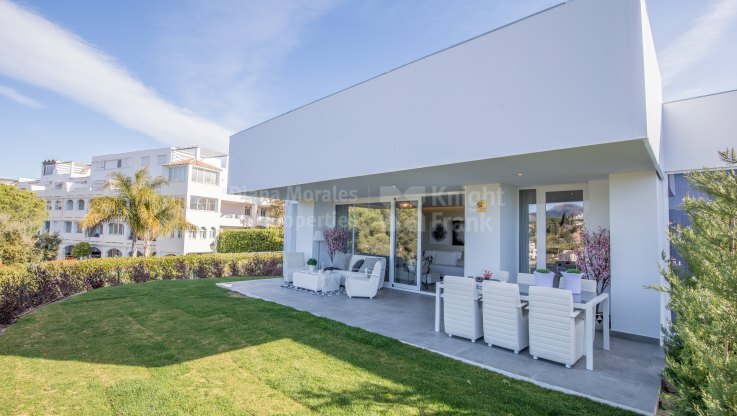 Air conditioning (hot & cold) throughout, underfloor heating in bathrooms, marble floors, one store room and one car space in the underground communal garage are some additional characteristics.